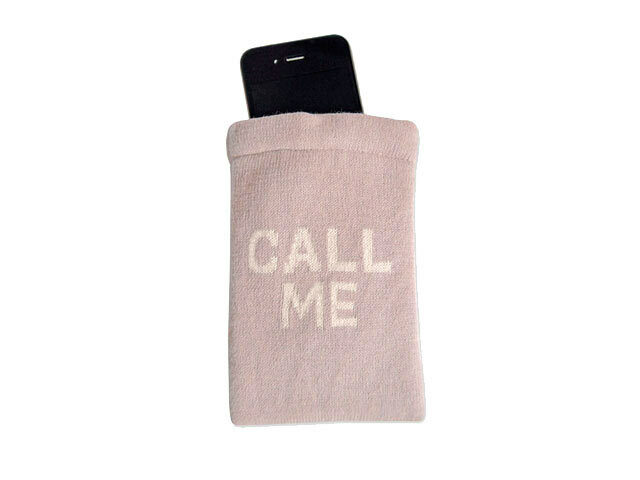 Cute little knitted mobile phone cover to keep your mobile protected. 100% cotton with ‘Call me’ text on both sides. Magnetic stud closing. Padded interior. Large enough to fit smart/iphone. Machine washable.